Naira Rewards is Nigerian most rewarding app, Naira Rewards gives you reward coins that you can use in exchange for Airtime in Nigeria or withdraw your coins in exchange for cash which will be deposited into your bank account in few easy steps! 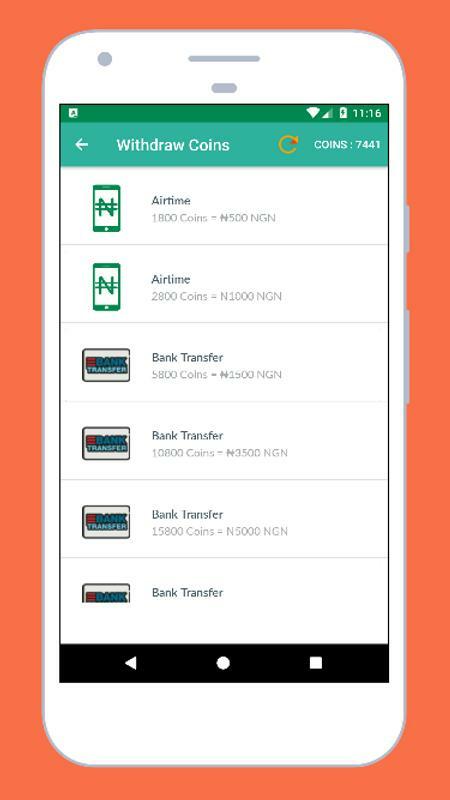 With Naira Rewards you can easily make extra money for yourself. 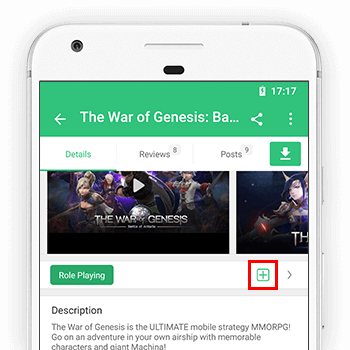 All you need is to Install the App. 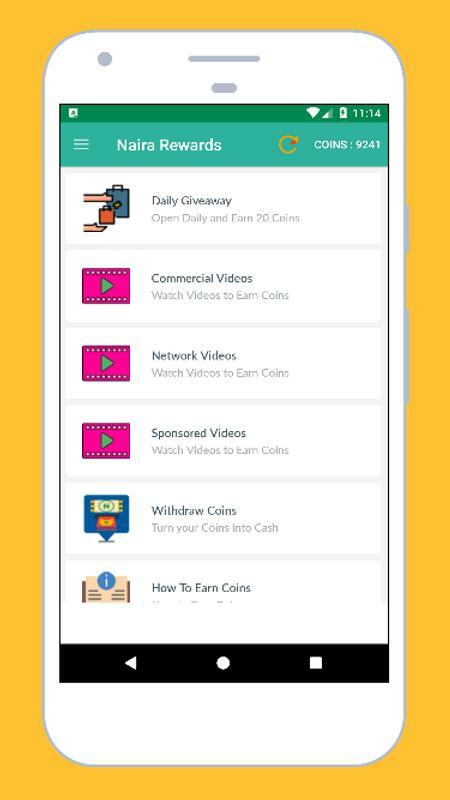 Most useful to students who want to make money the easy way, Naira Rewards is the number one earning app in Nigeria. 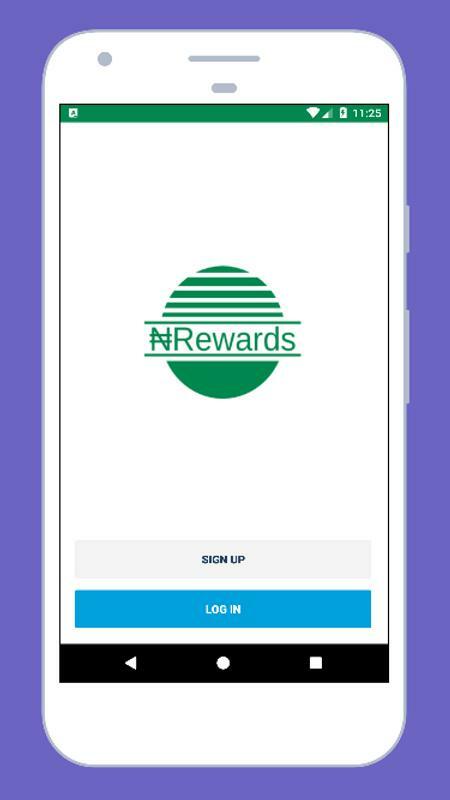 Just make your mobile phone useful and get some extra cash with Naira Rewards, download Naira Rewards and you are sure to earn money online from home, school or office just by simply watching videos. 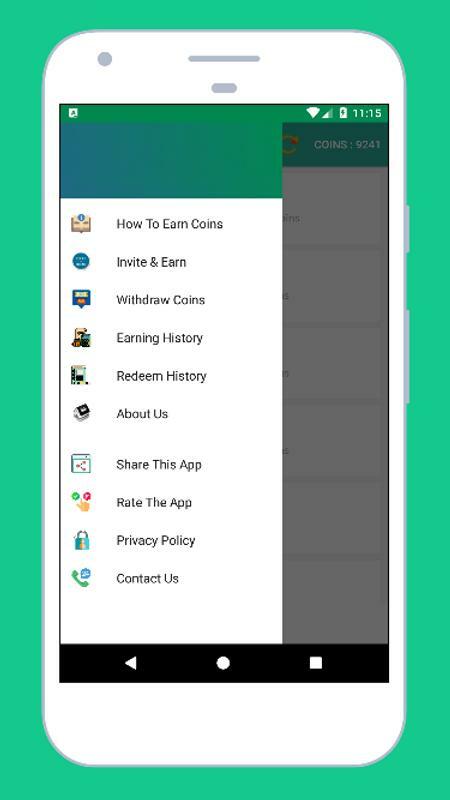 This is currently the best free earning app to earn easy cash in Nigeria. 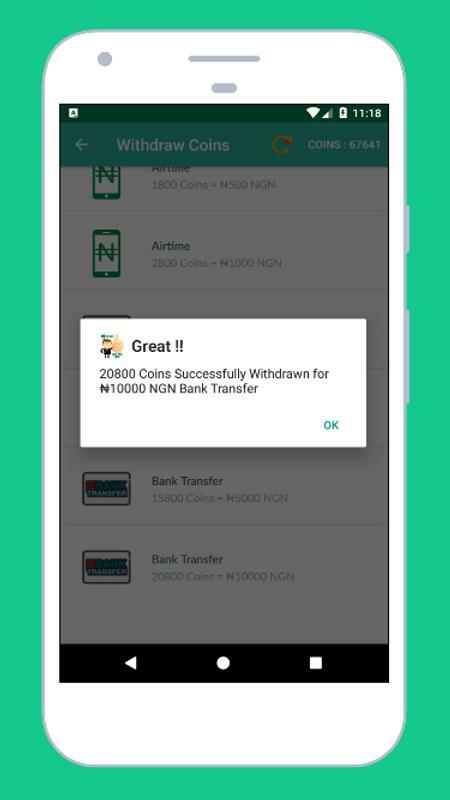 Join happy Nigerians who are currently enjoying Naira Rewards. You Can Now Advertise With Us.